Ron Davidson calls in from a hotel room in Washington, D.C., with NAFTA on his mind. As senior vice-president of international trade and public affairs for the Canadian Meat Council, he’s no stranger to the U.S. capital. And with the renegotiation of the North American Free Trade Agreement in process, there are more cross-border trips on Davidson’s calendar. That’s not a bad thing, he says. Cautious optimism is a common theme across non-supply managed commodities as the 23-year-old trade deal is cracked open, although few had envisioned a renegotiation before Donald Trump was elected U.S. president in 2016. Specifically, he’d like a new deal that streamlines regulations and harmonizes sanitary and phytosanitary trade rules, while also building a framework to address future concerns. Restructuring the trilateral trade deal could also address existing trade irritants, Dahl says. The Canola Council of Canada also sees North American trade talks as an opportunity to modernize what has been a successful free trade agreement in their view. Still, Ottawa had little time to prepare for renegotiation of a deal that wasn’t on their radar until international trade became a sticking point in American political rhetoric. Yet this won’t be easy. Canada currently lacks a cohesive food policy of its own, and early efforts to build a national food strategy have been anything but transparent since consultations began, says Charlebois. Still, while the objectives from different ag sectors may be different, they aren’t necessarily competing. The vision held by Canada’s pork and beef sectors, for instanace, is less about value-adding and more about increased integration of an already highly integrated system of production. Currently, Canadian meat is subject to two inspections when it enters the U.S., whereas U.S. meat is only inspected once as part of the border-crossing process. Laycraft adds there is strong support from American counterparts when it comes to streamlining import and export processes. 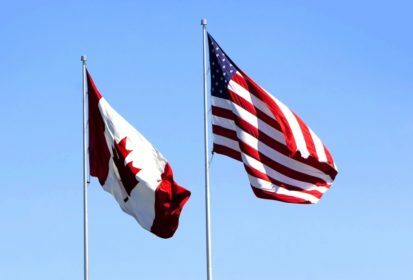 But strong support from American commodity groups and even U.S. lawmakers doesn’t guarantee a positive outcome for Canadian producers and processors. “We just don’t know what the terms are going to be, we don’t know what attitude the Trump administration will actually showcase during the talks. We are dealing with a highly unpredictable administration and that’s why it’s really difficult to really foresee what may happen or what could happen with NAFTA 2.0,” Charlebois says. Observers also point out, however, that U.S. President Donald Trump has already walked back from some of his more hardline positions on trade, including a threat to withdraw from NAFTA entirely. Trump has already withdrawn the United States from the Trans-Pacific Partnership and was the first world leader to publicly indicate interest in a bilateral trade agreement with the United Kingdom once it leaves the European Union. As important as the American market is for Canadian producers and processors, commodity groups are not putting all of their eggs into an American basket. Not just because of uncertainties around NAFTA, but because diversity is key to weathering any trade storm. “Yes, there are ongoing negotiations, but does the renegotiation of NAFTA cause us to look at or re-evaluate other markets? The answer is no, because we have been focused on market development and expanding free trade since we’ve come into existence,” Dahl says. With Canadian competitors already having struck trade agreements with Japan, Dahl said this is one market Canada needs to prioritize. A trade deal with China would also boost Canada’s ag across the board. Canadian meat processors are particularly interested in developing markets outside of North America, as overseas markets present opportunities to sell products less desired by domestic consumers. Gary Stordy, public relations manager for the Canadian Pork Council, explains pork is divided into various pieces and products to allow for maximized profit in a number of markets. Another way agribusinesses hope to expand Canada’s reach is by reviving the Trans-Pacific Partnership. “We thought with the U.S. leaving the TPP that it could stall, but Japan continues to say they would like to see that move ahead,” Laycraft says, adding the Cattlemen are still participating in meetings on the deal, working with counterparts at home and abroad to keep it alive. Canadian beef is currently subject to a 38.5 per cent tariff in Japan, while Australia’s bilateral trade deal with that Pacific Rim country will see their tariffs drop to nine per cent over two years. “We are looking for markets everywhere, and you know NAFTA is a critical one, but Japan is really critical, and we are fully supportive of the government’s work to move forward with a free trade agreement in China,” says Davidson. Despite all the allure of the Chinese market, however, it’s unlikely to ever replace the United States as Canada’s most important trading partner. And no other market will ever be quite so close to our doorstep. “(The Chinese market) is certainly going to grow, but I mean they do have the third-largest cattle herd in the world, so it’s not that they don’t produce beef,” Laycraft points out. Canada also has an advantage over virtually every other country in the world when it comes to delivering fresh product to the United States. That, combined with the integrated nature of the Canadian and U.S. production systems, means America will always be Canada’s largest export market, says the cattleman. According to Agriculture and Agri-Food Canada, Canadian meat sales exports to the United States increased 3.71 per cent between 2014 and 2015, while exports to Hong Kong and Japan decreased by 59 per cent and 24 per cent, respectively. Exports to China increased by 381 per cent over the same period but, even so, the United States accounted for about 71 per cent of all red meat and live animal exports in 2015. Field crops also rely heavily on exports to the U.S., even as other markets are pursued. Mexico accounts for another eight per cent of Canadian canola exports, or about $825 million each year, Innes adds. That brings the percentage of canola exports under NAFTA to 45 per cent. Back in Washington, meanwhile, Davidson makes his final point.